The Carthusian's traditional doctrine on prayer - from its very beginnings to the simplicity of its highest forms. Far from being abstract and theoretical, we learn about the prayer process by sharing the novices' concrete spiritual journey. Their problems and difficulties, and the many pitfalls they encounter on the way, are expressed in anongoing dialogue with their guide who relates to each one individually. Illuminating, even dazzling, insights, in one of the most profound books on Christian prayer available today. Many will find help here in their own quest for God and the ultimate purpose of life. Interior Prayer by A. Carthusian was published by Gracewing Publishing in July 2006 and is our 49697th best seller. 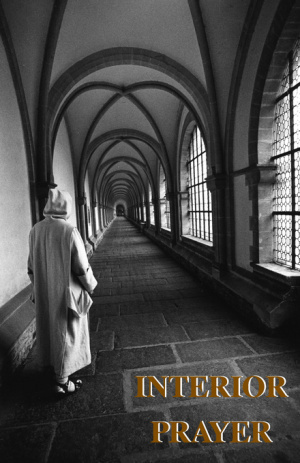 The ISBN for Interior Prayer is 9780852440384. Be the first to review Interior Prayer! Got a question? No problem! Just click here to ask us about Interior Prayer.